I was so pumped for today’s lesson other than the fact that it was 30+ degrees in my classroom. We all sweated together! Again we started with a Would You Rather problem…this time with earnings. Most students started with the hourly rate and calculated correctly on their whiteboard the weekly wage. They needed a bit of help going from weekly to annually. A few students took the opposite route of dividing the $30000 up into weeks then hours! I took up both solutions on the board as they would become useful for the next activity. We had a brief talk on gross pay, net pay, deductions, and payment frequency. I handed out the first page of the Pay schedule matching activity. 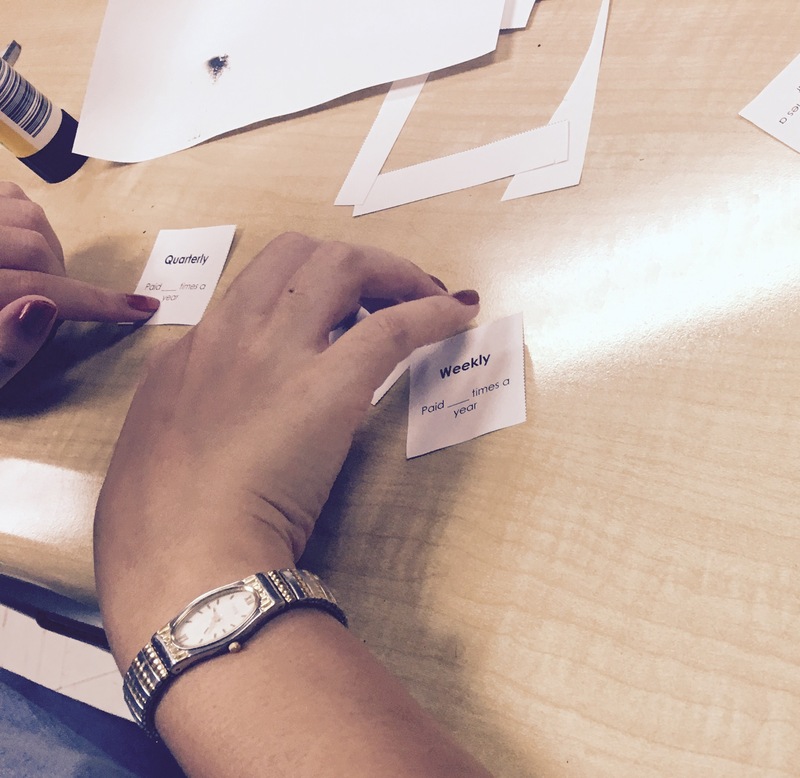 Students were to sort the pay frequencies based on most pays a year to least and paste onto the tracking sheet. We took this up together and then I created a hard copy of the frequencies on chart paper to post on the wall. They distributed the job titles among the schedules in any way they liked. There was one job title left blank so they could create their own title. 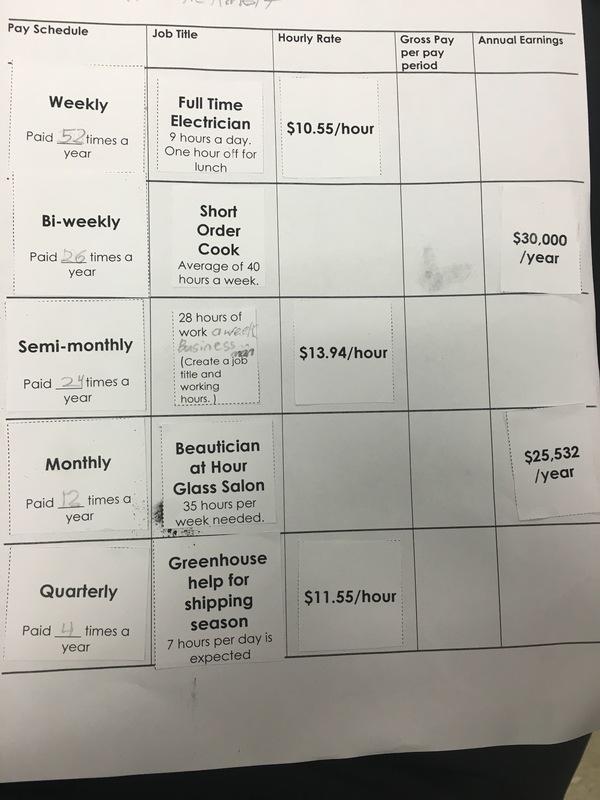 Once this was pasted on the master tracking sheet they had to distribute the hourly rates of pay and annual earning among the jobs….now each student had unique problems to work with. Their task was to fill in the remaining spaces–the gross pay per period and either the annual earning or hourly rate. 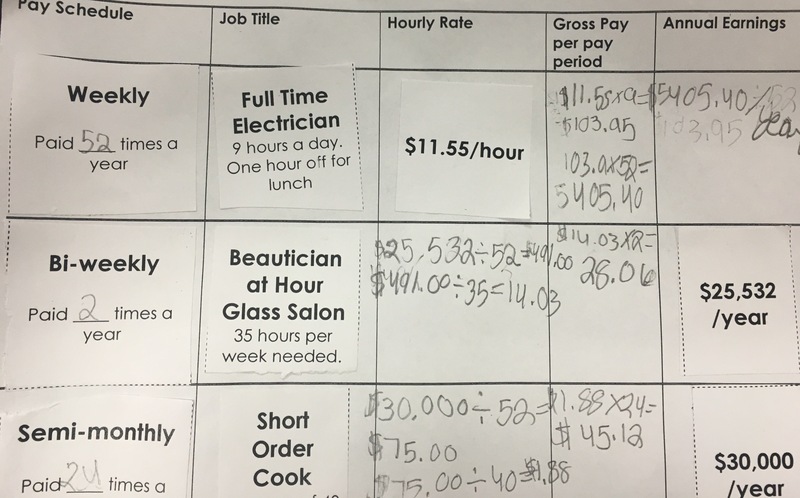 What I found was most students could find their hourly rate when given the annual earning as long as the job title listed the hours worked in a week. 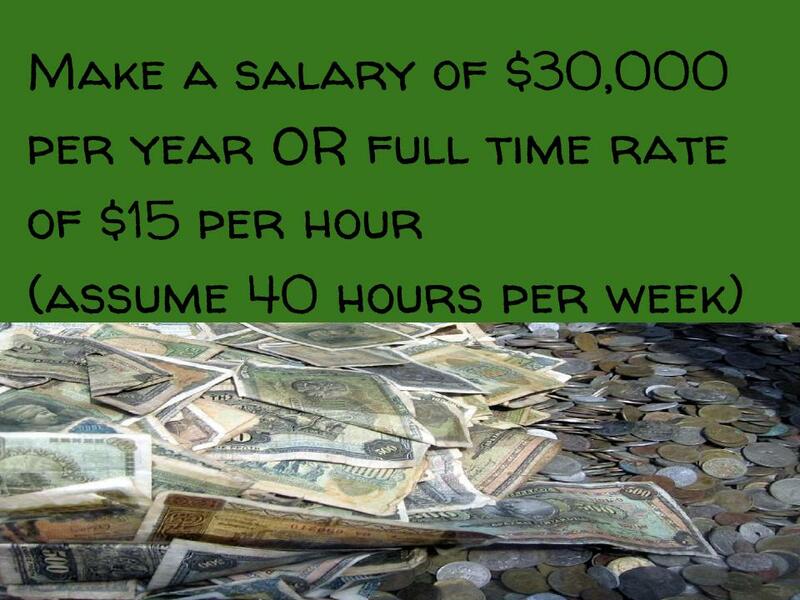 There was lots of struggling all around with finding the hourly rate any where else. I could see some confusion with calculating gross pay in almost all cases. As a group they did not complete all of this activity and we’ll pick it up again tomorrow. If I had to run this again I think I’d modify the slips so that first there was all hourly rates and no annual earnings….which would keep the calculation moving forward in time. Then I would give a second activity on another day with only annual earnings and ask for gross pay. My goal was to dive right in and work through confusion and struggles as they come up.  I think we’re there….now to work with the confusion and struggles!! As for tomorrow I’ll start with some problems involving calculating gross pay from annual earnings and then come back to this task.